I’ve mentioned before that Sue and I work together, and occasionally we get called away to important breakfast meetings. These mostly take place on Thursdays or Fridays in the summer, in other words, garage sale season. We had one of these meetings this week. It’s an annual sort of thing. A small block sale just a mile or two from our office that we watch for every year. We know what their signs look like, and Sue and I both drive right past the corner where they usually place one on our way in. As soon as we got in to work, we both agreed it was time for an important breakfast meeting. One of the gals who participates in this block sale is an antiques dealer who is slowly selling off her inventory and getting out of the biz. Her prices are always phenomenal and I manage to find lots of awesome stuff. Wouldn’t this red and green tin be great at Christmas time? It would make an awesome gift filled with cookies and bars. And how much do you love that toy beater with its tiny red handle? One could tie that on with twine to complete the gift. The chair they are sitting on will be getting a chippy paint job for sure. 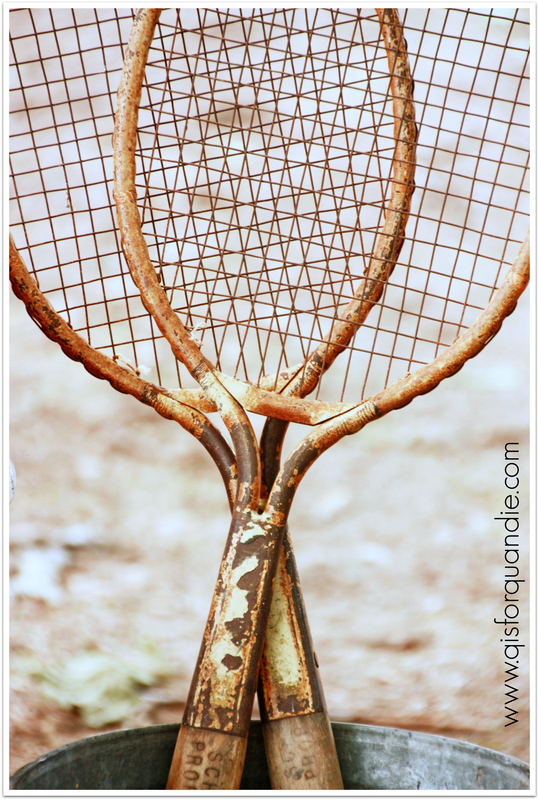 These old tennis rackets have the most fabulous patina. For now I plan to keep them as potential future furniture photo shoot props. If they don’t work out for that, they will likely make their way into my next sale. They would be awesome hung on a wall. 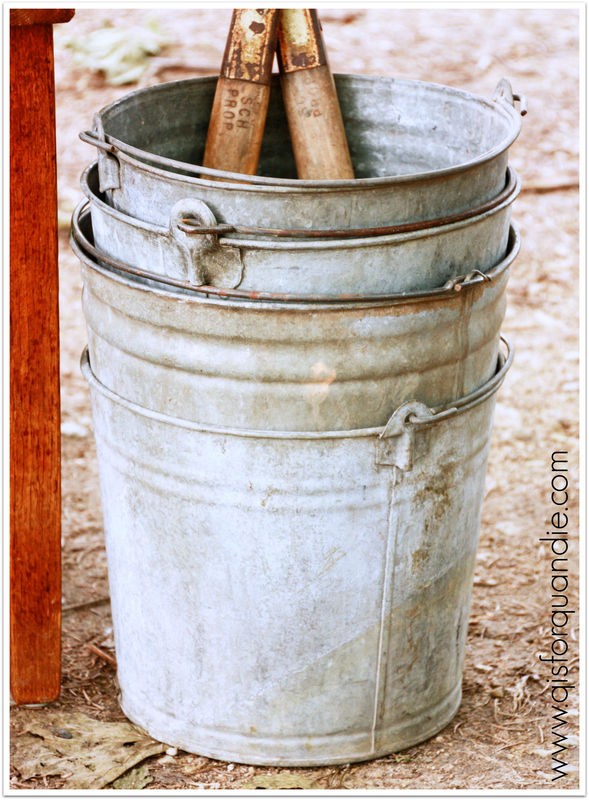 I nabbed a pile of old buckets. I love stenciling on these. Some of these will get “French Market”, and some will probably get numbers. I also picked up some vintage ornaments to add to my collection. You can’t really tell the scale from this photo, but the smaller round ornaments are about the size of marbles. They will be great near the top of my tabletop trees. 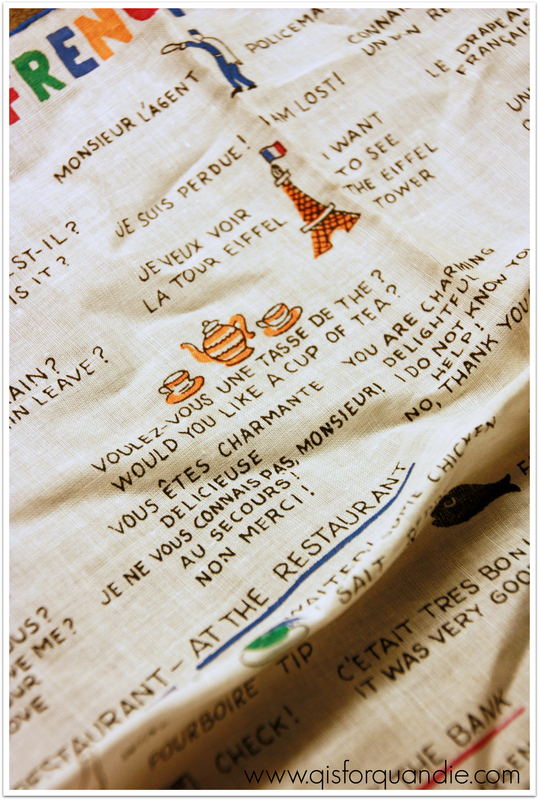 And isn’t this “how to speak French” hankie cute? I wish I was going to Paris, how fun to take this handy hankie along for quick and easy translation. It would also be great tucked into a basket with a Paris guide book and maybe some French wine to create a fantastic bon voyage gift, if I knew someone going to France. I did bring home a few more things that didn’t manage to make their way into the photos. All in all, it was a very successful breakfast meeting! 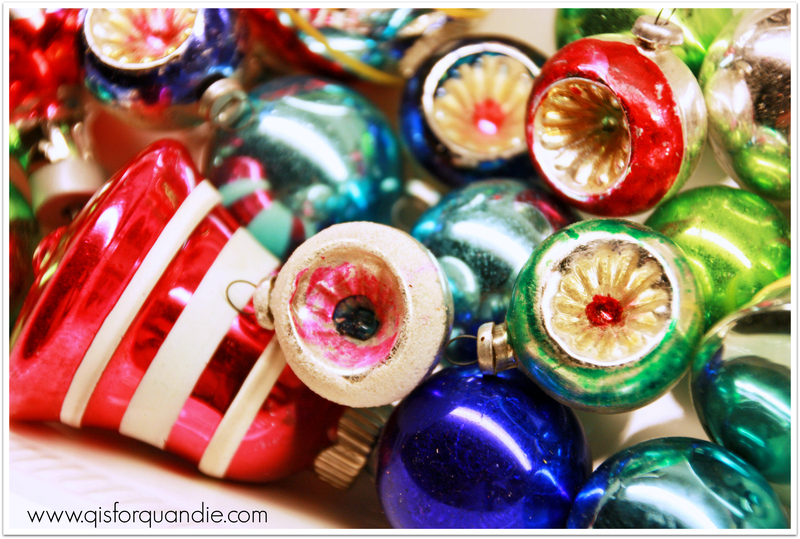 Love vintage Christmas ornaments good idea for a tabletop tree. Seems like your meetings are lotsa fun! 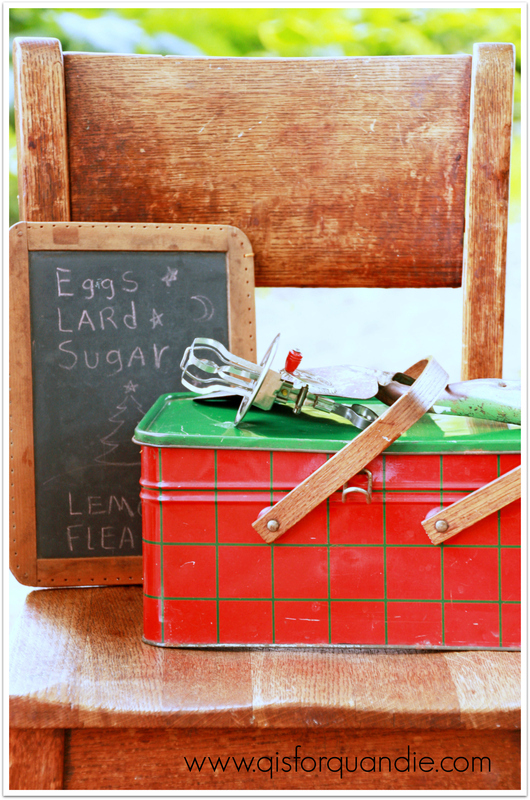 Great finds–love the rackets and the red container! I just love those rackets too. I can totally picture them on the wall in a family room, or even a home gym. I know a niece that might really like that hanky! It would fit in her living room decor, which is Paris. Oh! Good idea! It is pretty cute. Thank you for sharing. These are so beautiful. I love them all.